The magic of the mountain truly comes to life when you visit Cedar Creek Estate Winery, nestled in the heart of the Gold Coast Hinterland, on a stunning 22 acre estate. Whether you are looking for an intimate wedding escape or an opportunity for friends and family to get away and celebrate with you, Cedar Creek Estate Winery offers Brides and Grooms a unique and romantic ceremony and reception location for this very special day. The Estate has a charming non denominational sandstone chapel, set overlooking the Vineyard and tree lined Lake or for couples that prefer the outdoors we have our pier on the picturesque Wild Duck Lake. Our Estate offers endless photographic opportunities including the tree lined driveway, Vineyard and the many acres of trees on the Estate also the rainforest boardwalk. 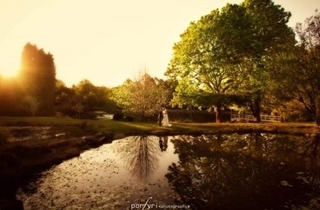 It can be perfect when you are looking for quaint wedding venues close to Brisbane. 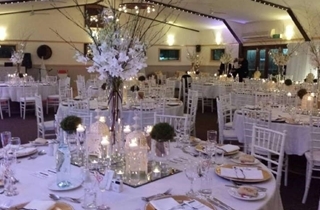 The ambience of a winery wedding continues with the choice of reception locations including; The Cedar Room, seats 120 guests offers style and atmosphere in true vineyard spirit and the Gazebo creates a more relaxed style celebration. We have created a range of comprehensive menu’s to compliment Cedar Creek Estate’s Award Winning Wines. The dedicated and experienced team of Wedding Coordinators will ensure your wedding day is handled with the utmost care and attention to detail, ensuring a stress free wedding day. If you are looking for a wedding reception venue which can accommodate a larger crowd, consider The Cedar Room here at Cedar Creek Estate. ‘The Cedar Room’ with its timber-lined walls creates a warm atmosphere overlooking the vineyard. This reception venue can cater to a maximum of 120 wedding guests. The magic of the mountain truly comes to life when you visit Cedar Creek Estate Winery, nestled in the Hinterland, on a stunning 22 acre estate. The Gazebo is ideal for more intimate style wedding such as a lunch or High Tea reception with beautiful views of our wild duck lake.